I got out for a few days right before new years to test my boat back out after my month off. 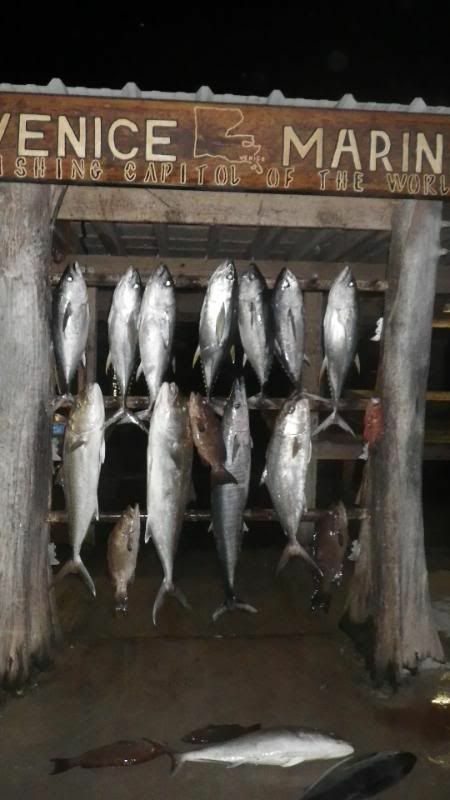 All were successful trips although we didnt slam the fish on any trip. 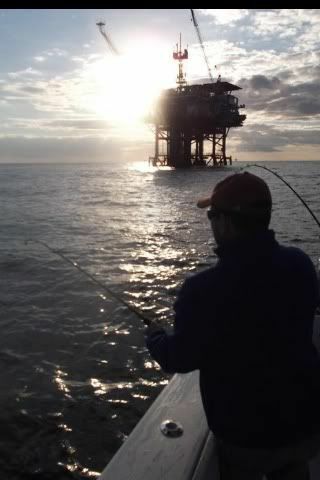 Had some good variety trips with grouper wahoo,yellowfin, blackfin, dolphin and amberjack taking a visit to the fishbox. First day I had Mike Vales and his sons on the boat. 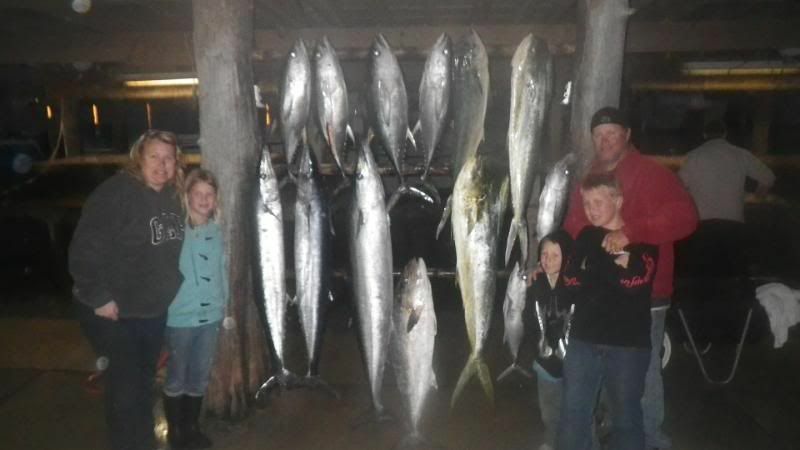 We trolled around picking up some schoolie yellowfin and blackfins on the plugs and missed a wahoo or two. Finished up with a limit of ajs on the jiggin sticks. Day two I had Gordon Richardson and his group on the boat. 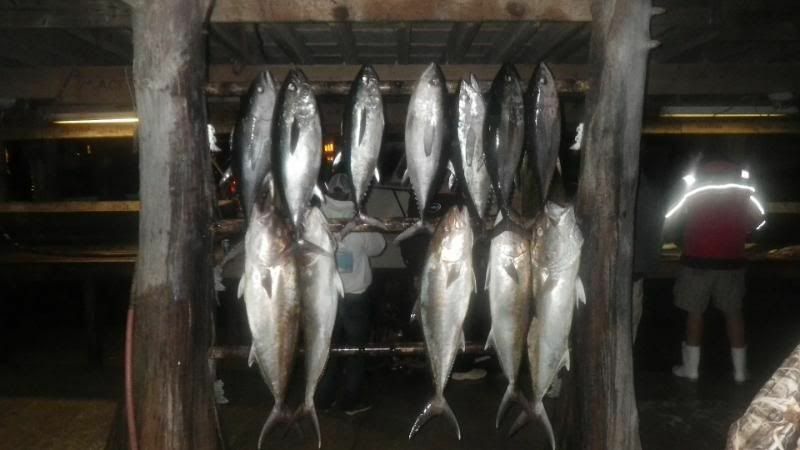 We started out slow to the south with a few schoolie yf and some blackfin to show for our efforts. 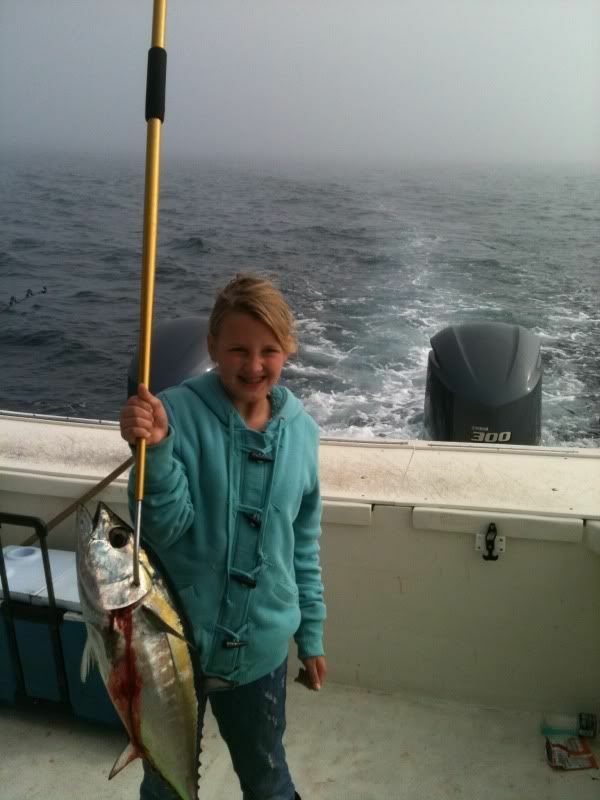 We headed north looking for more action but it was slow midday so we started jigging and got 4 ajs and 6 scamp on the jig before we started trolling again and got one more yf and a wahoo. Day three I started off to the northeast where the hooters had been the day before and found dead slow action. Headed out east to a floater in about 700 feet of water and doubled up on bull dolphin the first pass one of which was about 35 pounds. 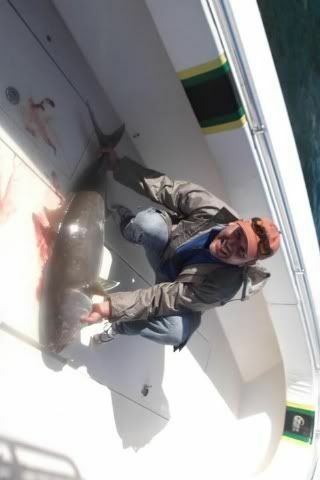 While we were fighting those dolphin another one showed up and we picked it up on a frenzy popper. 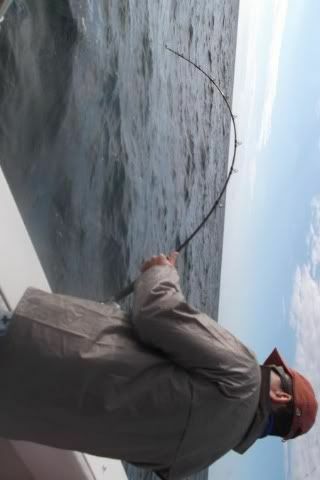 Made a few more passes and got a good wahoo and a yf before it slowed a little bite. Moved on to the next rig in line and caught three schoolie yf off of it before the guys said they had enough sushi so we moved over looking for hooters and got two more off of a buoy. 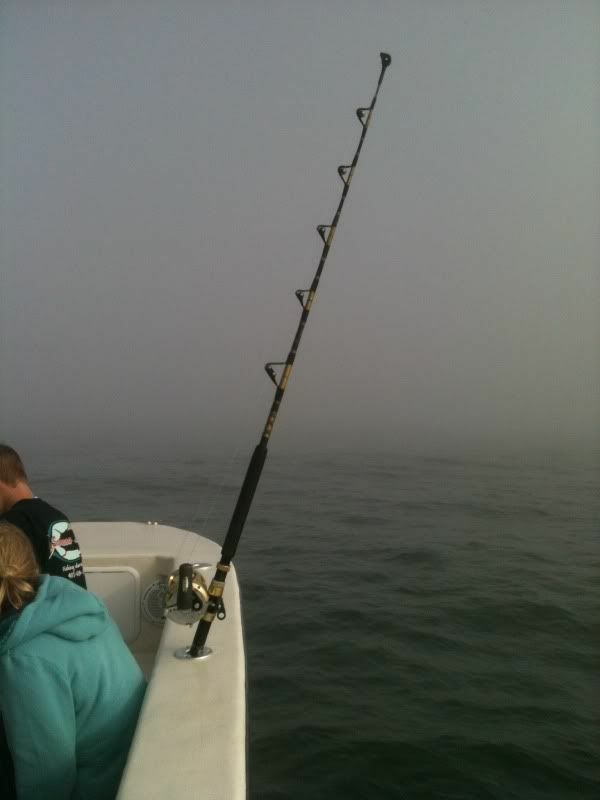 Also posted some fog pictures for the guys planning on bringing their boats this winter. 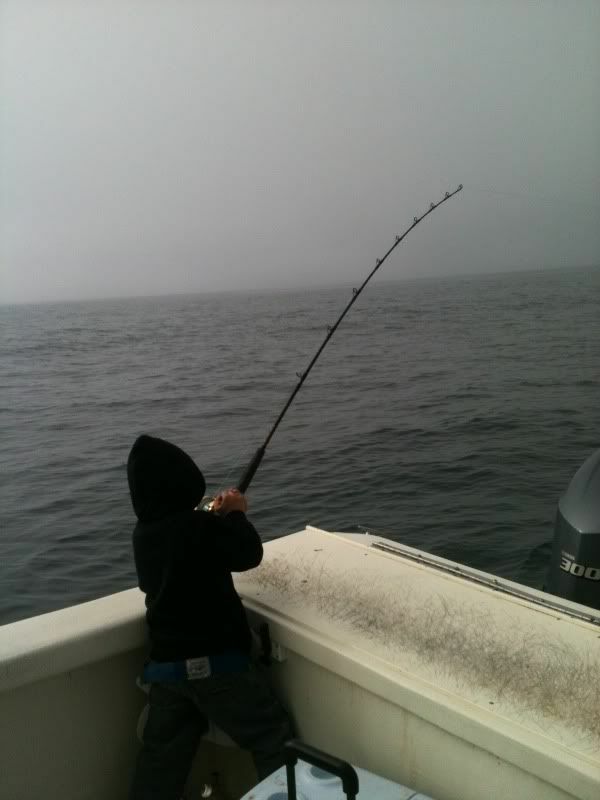 Unless you feel confident running and fishing by radar only think carefully about pulling your boat. 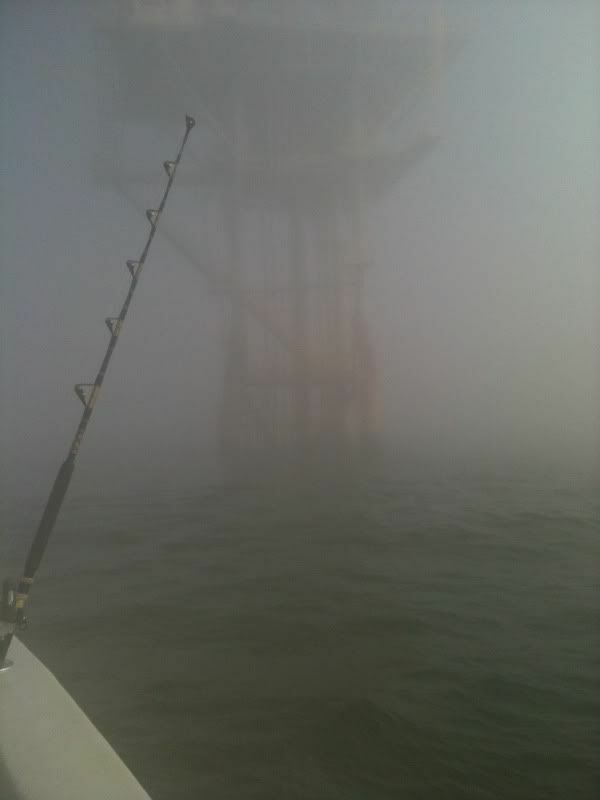 New years eve fog was so thick I was 45 miles east of the river fishing rigs that I could not even see from 150 feet away. I was literally trolling by rigs then having to relocate them on radar to get back.